LG and Samsung revealed the products of their research into flexible displays. Neither of which are very flexible, although LG’s version is apparently more receptive to actually bending. There was a certain amount of disappointment when these two devices were announced, mostly due to the lack of flexibility in them. Story continues after the break. That isn’t entirely the fault of the manufacturers. 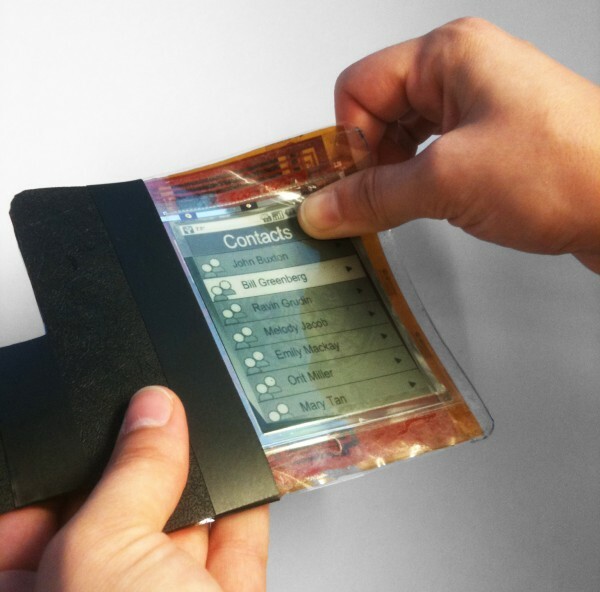 Simply having flexible screens doesn’t mean a fully flexible smartphone. Many of the other components are still extremely rigid, and science hasn’t progressed enough to allow for the mass production of bendable electronics. Modern lithography for inscribing transistors into paper thin surfaces already exists. It’s just a little expensive and inefficient right now. Our main problem is the issue of batteries. As in, modern batteries aren’t good at bending; because if they did it would increase the chance of them blowing up. Standard issue lithium ion batteries are chemical based, and come with their own set of issues. Most people would be familiar with the urban legend of exploding batteries. An urban legend that happens to be true. This is a result of the chemical reaction that produces electricity also producing a large amount of heat. A malleable shell may not be able to contain that sort of energy as readily as a nice thick hard shell. It’s for that very reason that Samsung has been experimenting with solid state batteries. After all, it’s been mostly the Galaxy line of phones that have been experiencing catastrophic power cell failure. Admittedly, the alternative to lithium ion has been around for many years. A lower power density may be the only thing standing in the way of full implementation of the technology. LG Chem has also demonstrated their version of the battery of the future in 2012. 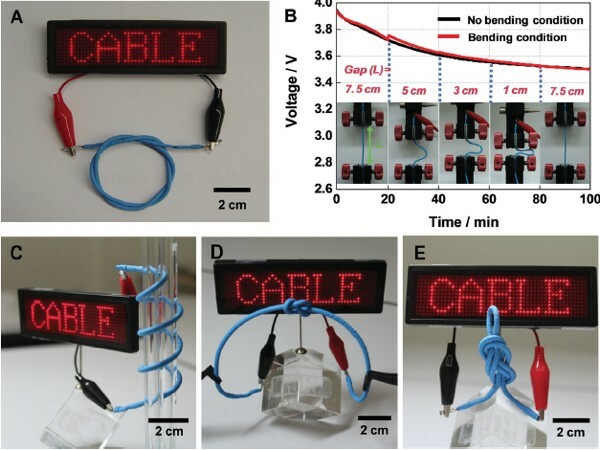 Simply put, it’s a solid state battery turned into a cable. Which means it can be twisted and twirled into any shape that the user could want. It would also allow for a far more flexible device. The technology is still not ready for mass production, but it wouldn’t be a surprise if LG manages to get ahead of Samsung by deploying this technology first. 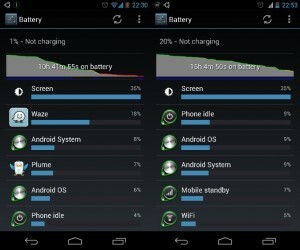 Both Samsung and LG are still approaching the battery problem from the lithium ion direction. Even the solid state versions are still experimenting with solid versions of the same anode and cathode chemicals. Researchers at the New Jersey Institute of Technology have been working on a cell that uses carbon nanotubes and micro-particles in the place of traditional materials. 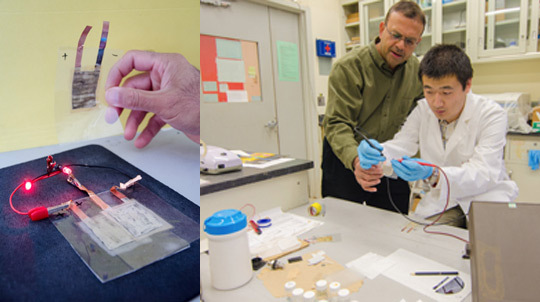 Working with nanotechnology has allowed the NJIT to build a battery that can take whatever shape or size they want. Most importantly, the NJIT battery could potentially be assembled at home using a kit comprising of an electrode paste and laminating machine. 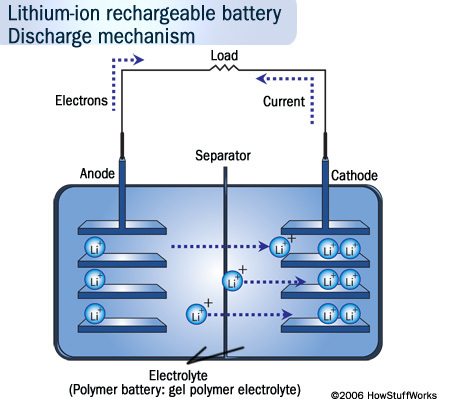 Meaning that people would be able to build batteries as they need them, or to make replacements. Nobody is sure of the power capacity of the micro-particles involved, or even what they are. The NJIT is still keeping quiet about the compounds. Still, it could prove to be the next best step in battery technology. Even if it is possibly still years away from commercial deployment. The point here is that while flexible displays are very much commercially viable, the rest of the hardware is not. There are many strides being made in the field of battery form factors. 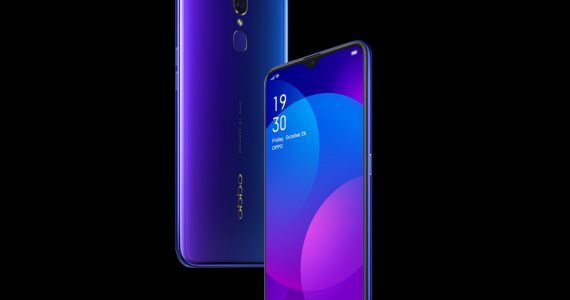 Although, considering the short operational life of smartphones these days, maybe it would be a better idea to leave the flexibility feature off for a few more years and just give us more battery life.